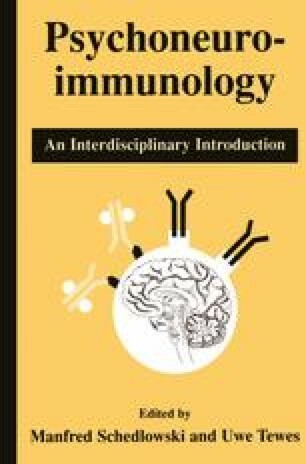 This chapter provides an overview of those psychological methods that are relevant for interdisciplinary research in psychoneuroimmunology. Within this scope, the field of psychology is confronted with entirely different problems to disciplines such as endocrinology, immunology, anatomy, or neurophysiology. The dependent variables that concern researchers from such disciplines are normally readily and reliably countable or measurable. The functions of variables such as molecules, cells, or tissue can be described and analyzed. However, psychological variables are not so readily definable and measurable. Nevertheless, psychological processes and modes of behavior that in former times were exclusively examined and described by psychological methods, can today be found in modern textbooks of physiology, endocrinology, or neurology. Thus, psychologists conducting psychoneuroimmunological research have developed robust research methods, not only to examine psychological influences on the immune system, but also to reveal how immunological and endocrine changes may alter the behavior, experience, and cognitive processes of organisms.